To enjoy a lemon tart at its best, serve it warm or cold, but never chilled. For this recipe, I have used sweet pastry which is easy to prepare. Serve the tart as it is, or sprinkled with a generous layer of confectioners’ sugar. It is delicious accompanied by candied kumquats or red berries in season. To make the pastry: Heap the flour in a mound and make a well. Put in the butter, sugar, salt. With your fingertips, mix the butter with sugar and salt, then add the egg yolks and work them in delicately with your fingertips. Little by little, crow the flower into the center and work the mixture until you have a dough. Using the palm of your hand, push the dough away from you 3-4 times until it is completely smooth. Roll it into a ball, wrap in plastic wrap, and refrigerate until ready to use. 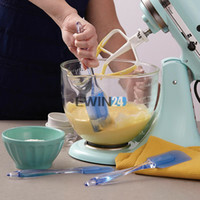 To make the lemon filling: Lightly whisk the eggs and sugar in a medium bowl. In another bowl whisk the cream for a few seconds, then mix it into the eggs. Add the lemon zest and juice, stir, then cover with plastic wrap, and refrigerate. Butter an 8-9 inch tart pan. Roll out the dough, drape it over the rolling pin. Line the tart pan with the dough. Trim off the excess dough around the rim, and gently press the dough edges up the side of the pan. Refrigerate for 20 minutes. Bake the dough for 15 minutes, covered with waxed paper and pie weights. Then remove the paper and ceramic beans and bake for another 5 minutes, until lightly colored. Take out and lower temperature to 300F. Lightly whisk the chilled lemon filling, then pour it into the tart shell up to the level of the lip. Bake for about 1 hour, until lightly set. Leave for about 10 minutes, then carefully remove the tart from the pan. Let cool on a wire rack before serving. To make the candied kumquats - take very ripe kumquats (about 20), put them in a small pan, cover with cold water, and boil 1 minute, then refresh in cold water. Repeat this twice more; drain. Return to the pan with 2 cups water and 2 cups of sugar and slowly bring to a boil. Lower the heat and poach the kumquats for 35-40 minutes, until lightly candied. What a fantastic tart and combination! Really exquisite and refined. This has to go on my list! This tart looks great! Absolutely a work of art! That looks absolutely terrific, perfect tart!